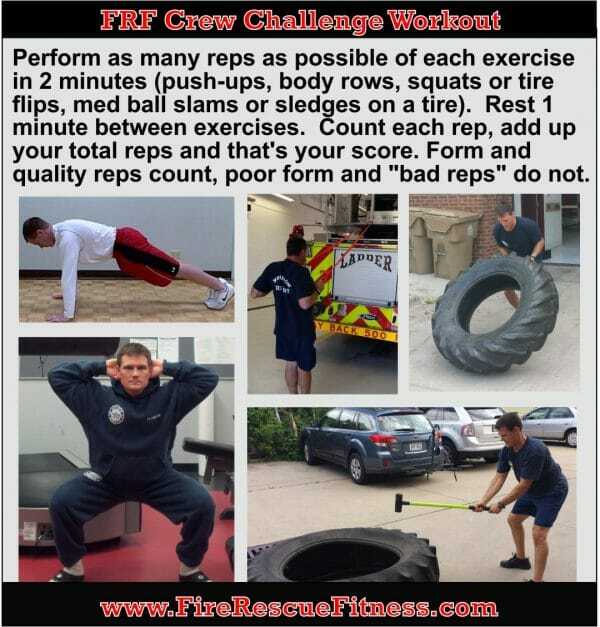 Great Crew Total Body Challenge Workout for the Firehouse (or any gym). After completing the warm-up go right into the workout. The goal is to perform as many reps as possible of each exercise in 2 minutes. Rest 1 minute between exercises. Do one round of each exercise. If your just starting your fitness program or getting back into your fitness routine, you may want to decrease "work" time to 1 minute per each exercise with 1 minute rest. Count each rep, add up your total reps and that's your score. Form and quality reps count, poor form and "bad reps" do not. Set this up as a challenge within your crew or department. Try to repeat the workout every couple of weeks and improve the number of "quality" reps.
--Body Rows (click here to see this exercise). You could also use a TRX or webbing. Give this workout a try during your next shift or department training. 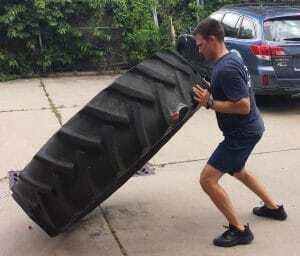 I think its also a great workout for recruits in the academy. 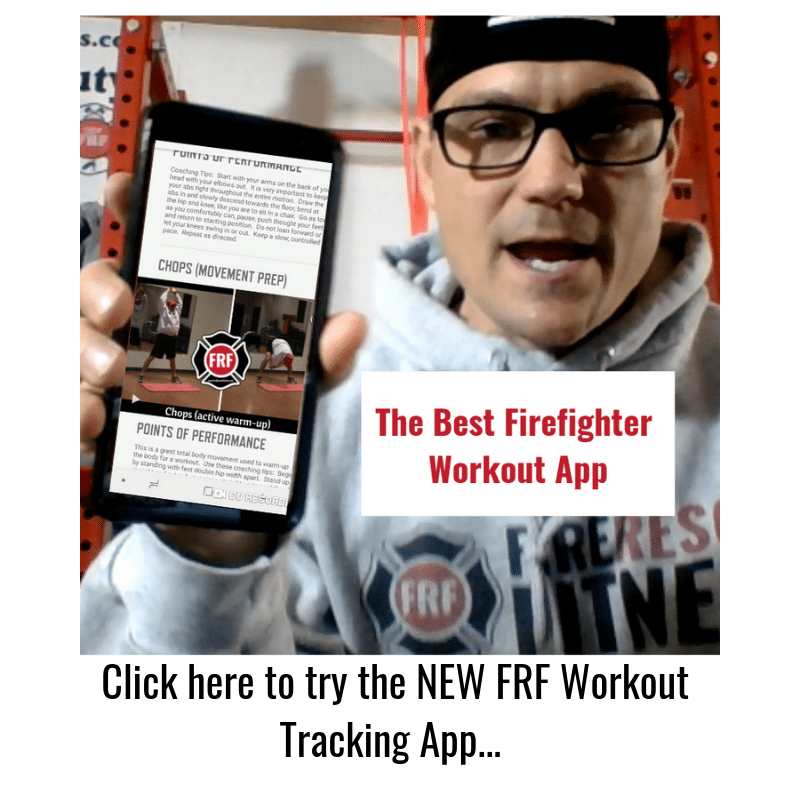 Don't forget to track your rep numbers to measure your progress. Let me know if you have suggestions or questions. 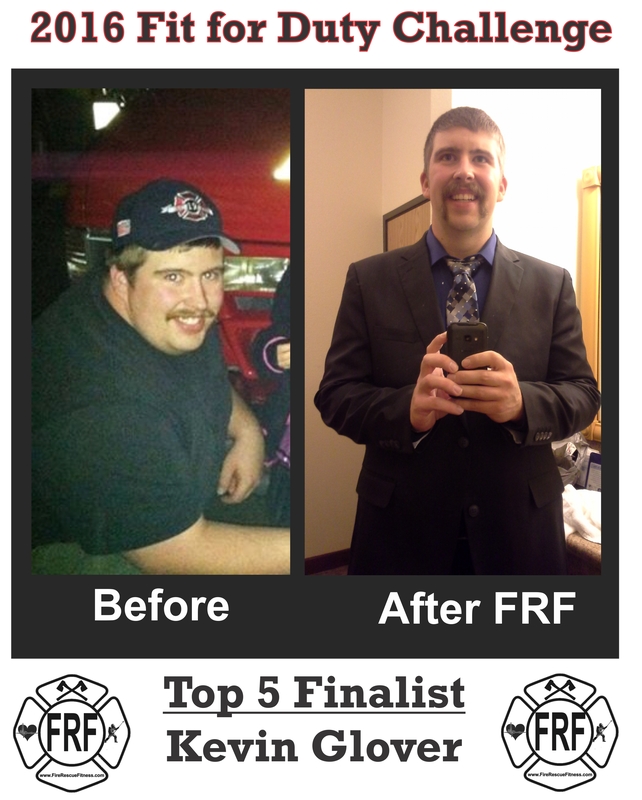 Please share, comment and like and let me know how I can help you get "fit for duty." 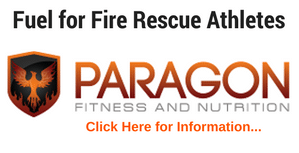 Need an effective workout for firefighters by firefighters? Get the same program Kevin Glover used to lose over 40 pounds and get Fit for Duty.... Get more details by clicking HERE! Love the concept of pushing people to workout on and off duty. Wish more would realize you need to be fit for the job and for life. 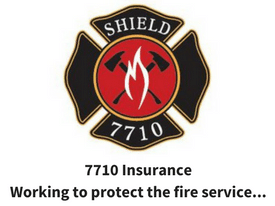 I own a CrossFit box and have very little firefighter or police members even when I give them a extremely good discount. I’ve been on the job for 20 years and it’s fummy to me that some of our 20 year olds feel really good if they beat me in a workout. Thanks for what you do.